20% OFF ALL RETAIL! – Salon L.
Our annual sale has started! 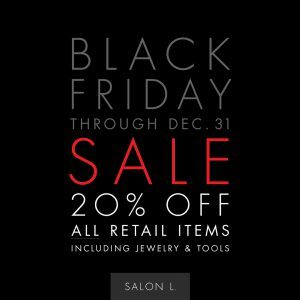 Please enjoy 20% off all retail, scarves, jewelry, make up and accessories at either location!